GLTN’s gender agenda was adopted at a Roundtable at the World Urban Forum in 2006. The agenda serves as a framework of methodologies and strategies for developing land tools that promote equal tenure security for women and men. The agenda underscores the need to ensure gender-responsiveness in all stages of tool development and implementation. GLTN has so far evaluated land issues and tools from a gender perspective, developed capacity on gender and land issues, and studied the tenure rights of women and legal reforms that affect them. GLTN is now in the process of developing an updated gender strategy that responds to new and emerging opportunities and challenges for interventions of the Network in anticipation of the Phase 3 of GLTN work. It will also inform GLTN’s strategic response to implementation of the SDGs and the New Urban Agenda (Habitat III) in addition to re-aligning its priorities and key interventions on the gender and land dimension. The strategy development will be collaboration with GLTN partners with a view to updating the body of knowledge on gender and land. 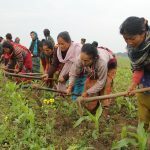 Land tools should not just benefit the poor: they must also improve the situation of both men and women. They cannot do this if they ignore women – for example, if they assume that men and women are treated the same, or if they do not enable gender-disaggregated information to provide practical comparisons. To make sure that land tools do not suffer from gender-blindness, GLTN has developed a set of Gender Evaluation Criteria (GEC) tool. The GEC can be used to check whether land tools incorporate gender issues, and to show how they can be adapted to integrate gender issues. 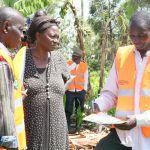 It was developed through consultations among various GLTN partners: the Huairou Commission, the International Federation of Surveyors, the University of East London, and UN-Habitat. It comprises 6 criteria and 22 questions with possible indicators that can be adapted to a wide range of different situations. Delivering tenure security – In Recife, Brazil, 500 land titles were given to the community of Chié, with another 2,500 titles to go to the other three communities that make up the settlement of Ponte do Maduro (Santa Terezinha, Ilha de Joaneiro and Santo Amaro). In total, these 3,000 land titles, were given reaching about 40% of the approximately 8,000 families living in the settlement, affecting the lives of more than 10,000 families, 50% of whom are women, through the work of the Huairou Commission. 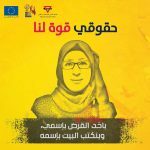 Women’s empowerment – strengthening of women’s organizations and awareness and actions on their rights to access, use, and control over land and other resources in at least 20 organizations that have implemented the tool . Change in power relations at community and district levels were observed in Uganda, Nepal, Philippines, Ghana and Brazil. Increased percentage of women and men championing women’s land rights at community level and within governments (local to national) agencies. The Philippines, Brazil and Uganda cases are good case studies on how gender-relations have positively shifted between civil society, local and national government agencies. Formal revision of laws/codes based on findings of the GEC implementation and commitments from government institutions to promote gender equality in Togo. 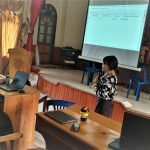 The International Land Coalition (ILC) actively encouraged the National Engagement Strategies (NES) platform to use the GEC tool to analyse land policies, raise awareness of gender issues and integrate a gender-sensitive approach across their work. Women demand more inclusive, transparent and accountable governance such as the revision of the Gender Strategy in Uganda, and the inclusion of gender-responsive provisions in the Land Use Plan in the Philippines, the creation of the Land Commission in Nepal. Multi-stakeholder alliances and partnerships formed in organizations in Brazil, Uganda, Togo, Rwanda, Zimbabwe, Ghana, Philippines. More than 300 organizations trained on the GEC, with emerging community of practice at the global, regional and country levels. Enhanced grassroots women’s capacity to evaluate land tools and engage with relevant stakeholders as in the case of indigenous women in Ghana, rural farmers in Uganda and urban poor women in Brazil, Colombia and Philippines. The challenges faced by women in the Muslim world do not substantially differ from those faced by women in other regions. However, the 20 percent of the world’s population is Muslim and certain land-related patterns reflecting Islamic land principles and practices can be recognized in the region. GLTN looks at these elements in the context of legal pluralism along with international legal frameworks, national laws, customs and traditions to promote women access to land in the Muslim world. A set of Guidelines to Increase Access to Land for Women in the Muslim World is being developed based on the analysis of global gender-responsive land approaches, series of consultations with partners and experts, case studies review and on the GLTN research on Islamic land principles offering opportunities for enhancing women land and property rights. The key elements of the guidelines include: (1) What protects women access to land; (2) How women can access land – including ownership, secondary rights, customary and Islamic land related mechanisms; (3) What role marriage has in securing access to land for women – including joint marital property regimes, land and property arrangements during and after marriage, land and property options for different categories of women, etc. ; (4) Women inheritance rights and provisions, including compensatory and alternative mechanisms; and (5) Case studies and lessons learnt. The GLTN Partners leading on this are: UN-Habitat, University of East London, Arab Union of Surveyors, Urban Training and Studies Institute, and International Islamic University of Malaysia. A number of other organisations have been contributing to different steps of the process, including the Norwegian Refugee Council, Habitat International Coalition and other local and regional civil society organisations. There are over 1.2 billion young people aged between 15 and 24 in the world today. They are increasingly demonstrating their presence and are making contributions across a variety of development sectors, particularly in response to political developments, climate change and natural disasters, and they are having a huge impact. To date, however, this has not been visible in the land sector. The needs of today’s youth with regard to land are different from those of previous generations and are influenced by changes around the world, including globalization, urbanization, migration, climate change, and technology advancement amongst other issues. Development agendas and changes to national land policies need to take into account the needs and perspectives of the growing youth population in order to not only support this demographic, but also to derive the greatest possible benefit from its potential. The Youth and Land Responsiveness Criteria (YLRC) is a tool developed by GLTN partners with a purpose to assess land programmes and policies objectively to ensure that youth and land issues are equitably addressed in order to achieve tenure security for all. The tool can be used to evaluate existing land tools in terms of their responsiveness to youth and to identify where and how they can be more responsive to youth’s needs and concerns for land. It also provides strong opportunities to involve youth actively in the process and to get first-hand knowledge on the experiences of youth in relation to land issues. Land is a driver of conflict and an obstacle to recovery. Increasingly acknowledged as crucial in peace-making and peace-building, often land-related issues contribute to protract crisis, jeopardizing peace and stability. In the coming decades, global challenges such as population growth, urbanization, rural-urban migration, increasing food insecurity and climate change will generate more competition over land, which will increase the number of land-related conflicts at global, regional, national, and community level. As a result of these trends, increasingly large numbers of people are likely to be forcefully displaced, as recent trends already indicate. Rural-urban migration upsurge by people in search of food security, livelihoods, access to services and work, will, in the absence of planned urbanization, increase proliferation of slums and informal settlements in urban and peri-urban areas, leading to conflicts with communities and individuals already living in the area. Women, youth children and other vulnerable groups, such as indigenous people, will be affected the most. Conflicts and crises are becoming increasingly protracted, also as a result of the fragility of certain countries produced by a combination of weak and ineffective governance, incoherent rule of law systems, and volatile economies. These challenges are acknowledged in the Sustainable Development Goals (SDGs), which, for the first time, propose a transformative development agenda that has reference to land in Goals 1,2,5,10,11, 15 and 16. To address the various articulations of the land and conflict challenges across the conflict cycle – from prevention, to humanitarian response, to development – coordinated efforts from the UN system and non-UN actors is needed. On this basis, the Land and Conflict Coalition was established in November 2015, in Nairobi, with the Secretariat located in the Global Land Tool Network / UN-Habitat and funding from the Swiss Development Cooperation. A second meeting took place in March 2016 to define the mission, objective and develop a first work plan for the Coalition. Mission: Promote peace and stability by addressing land as root cause of conflict. Conduct joint strategy development, planning and implementation of tools and projects at country level. A collaboration on land and conflict was established with UN agencies, particularly UNDP, UNEP, UNDPA, DPKO, PBSO, UNHCR, OHCHR, UN-OCHA, UN-Women, FAO, and IFAD. This allowed GLTN to link the land and conflict work with the broader global processes of UN reform, such as the High Level Reviews on Peace Operations and the Peacebuilding Architecture and with key related UN Resolutions. The UN Working Group on Transition – composed by 20 UN agencies working across the three UN pillars of peace and security, human rights and development – acknowledged the work being done by GLTN and the Coalition on land and conflict, and incorporated some aspects of this work in the work plan of the Group for 2016 and UN-Habitat/GLTN as leading agency on the topic. Contributions were made to the UNDAF framework revisions in New York, with the integration of the need for root causes analysis of causes of conflicts in fragile state with the support of the UN-Habitat New York office. In September 2016, a group of experts from 10 Arab countries and from different land governance-related disciplines and backgrounds met in Amman, Jordan for the Expert Group Meeting on Fostering Good Land Governance in the Arab States. The event was hosted by GLTN Partners UN-Habitat, World Bank, GIZ, FAO, ILC and the Urban Training and Studies Institute and enjoyed the support of the Jordanian Ministry of Municipal Affairs. Land and conflict emerged as one of the key areas where coordinated efforts are needed to tackle land governance effectively. In line with the approach proposed in the Scoping and Status Study and in the Secretary General Guidance Note on Land and Conflict (see below), discussions highlighted how capacity development, advocacy, knowledge creation, and regional cooperation and are key avenues to improved land governance and addressing land-related aspects of the conflicts in the region. From the meeting, a joint vision on land emerged and a set of joint priorities actions were identified. The “Scoping and Status Study on Land and Conflict: Towards UN System Wide Engagement at Scale” was published in May 2016. The publication presents a functional analysis of how the United Nations System deals with land and conflict across the UN pillars of peace, security, development and human rights. It reviews areas of engagement across the full conflict cycle and proposes a coherent, comprehensive approach to the land sector. The Framework Analysis of Land as a Root Cause of Conflict, which was presented at the Land and Conflict Coalition meeting in March, has been further developed. Presentations were made to member states in March 2016 in the Quaker House in New York, informally to members of Task Team on Conflict prevention hosted by UNDP, New York office and at a high level learning event on land and conflict that took place in Kigali in November. The comments received were incorporated in a second version of the document and a final review is planned for 2017, after which the framework will be circulated widely for a last round of inputs. Upon the request of the Rule of Law Unit of the Executive Office of the Secretary General, GLTN is leading the development of a Secretary General Guidance Note on Land and Conflict, in collaboration with a number of humanitarian and development UN agencies. The draft of the Note was presented to the UN Working Group on Transition (UNWGT) in March 2016, to the UN Secretary General Rule of Law Unit, and again to the UNWGT in July. Additional rounds of comments are being incorporated in the text of the note, after which process for the formal approval of the Note by UN Agencies will be initiated. A research work on “Fit-For-Purpose Land Administration for Conflict Contexts” has also been initiated and it is at its earlier stages of development. GLTN is also collaborating with IOM, NRC, UNDP and UNHCR in the development of the “Guidance Note on Mainstreaming Housing, Land and Property Issues into Humanitarian, Transitional and Development Planning Tools”. GLTN is providing technical support and some funding to the IOM consultant leading the work. A first draft has been reviewed in September 2016 and a meeting will take place in October 2016 to decide how to proceed with the development of the document. This is not considered part of the three pieces of research that GLTN committed to under the SDC-funded project, but rather an additional output result of the good collaborations established in this area of work with other key UN and non-UN players. The adaptation of GLTN land tools to conflict contexts has started in Iraq and Sudan/Darfur and Lebanon / Syria is upcoming, in collaboration with UN-Habitat country office and with the Regional Office for the Arab states. The tools to be used are the Social Tenure Domain Model, Participatory Enumerations and Land Use Planning, while the use of the Gender Evaluation Criteria and the Youth Responsive Criteria are being considered as complementary. In the Democratic Republic of Congo, the Social Tenure Domain Model and the Land Mediation approach are being used in North Kivu to secure land rights for resettlement communities within the framework of the MoNUSCO peace and stabilization program. The project will document lessons learnt for replication. A collaboration between GLTN and the UN Department of Political Affairs was formalised to undertake a study on land conflicts in Kismayo and Jubbaland, Somalia. The study intends to investigate the land conflict situation in Jubbaland to guide the work of the UN system in Somalia in peace building and land conflicts management. The findings will also contribute to policy making in Somalia’s land governance sector. An agreement of cooperation is being developed between UN-Habitat and the Norwegian Refugee Council to use GLTN tools Gender Evaluation Criteria and Youth Responsiveness Criteria to assess their land and tenure security and dispute resolution interventions in Somalia. The project is expected to start in early January. The implementation of the Great Lakes Region Strategy is being supported by equipping the UN country teams to deal with land and conflict issues. The Great Lakes Strategy, developed with support from GLTN and UN-Habitat, was approved by the Security Council in March 2016, and UN-Habitat/GLTN is the leading agency on land and conflict. A short training event on land and conflict was carried out by GLTN and the UN Department of Political Affairs in New York in March 2016, targeting 15 DPA desk Country officers. The capacity of Six Peace and Development Advisors was developed in June 2016 through an interactive session on the key concepts and approaches related to land and conflict. A two-day high level learning event on Land, Conflict and Natural resources for senior UN officials in the Great Lakes Region took place in Kigali, Rwanda on the 15th and 16th November 2016. The event was hosted by GLTN and the Rwanda Resident Coordinator office, and supported by UNDP, UNEP and UNDPA. Over 35 participants from the region took part in the event, including UN resident coordinators, heads of agencies, representative from the missions, and donors. The event was very well received and replication at country level is planned for 2017 in two countries. Support was provided for the training on Housing, Land and Property Rights for East and Horn of Africa for the Durable Solutions organised by ReDSS in June 2016.
Who is part of the Land and Conflict Coalition? Forty six UN and non-UN organisations and a number of government representatives took part in the Land and Conflict Coalition gatherings, including: FAO, UN-Habitat, UNDPA, OHCHR, UNPD, UN-Women, IOM, UNEP, UNHCR, UNODC, Office of the Special Envoy of the SG for the Great Lakes Region, UNAMA, Huairou Commission, Habitat for Humanity, Brac USA, EEAS-EU / EC Service for Foreign Policy Instruments, GIZ, ICGLR, Interaction, Legal Action Worldwide, Les Afriques Dans Le Monde, Norwegian Refugee Council, Landesa, Land Alliance, FIDA Kenya, Urban Training and Studies Institute, Union of Arab Surveyors, USAID, Interpeace DRC, University of East London, Danish Refugee Council, Technical University of Munich, Rights and Resources International RRI, Durable Solutions Initiative, TNW Nepal, Wilfrid Laurier University, Uganda Land Alliance, DSDI, Slum Dwellers International, HIC-HLRN, Darfur Land Commission, Max Plank Institute, Oxfam, Mc Gill University, SWID Uganda, and the World Bank Group. Government representatives: DRC, Senegal, Switzerland, DFID/UK, and Uganda. Good land use and planning are essential for the prevention of and recover from disasters. It provides a site for shelter, a resource for livelihoods and a place to access services and infrastructure. Therefore, land issues – such as security of tenure, land use, land access and land administration – are important to key humanitarian sectors after a disaster. GLTN developed the “Land and Natural Disasters: Guidance for Practitioners” guidelines in collaboration with FAO, UN-Habitat and the Early Recovery Cluster Working Group. The main purpose of the Guidelines is to provide a holistic approach to addressing land issues from the immediate aftermath of a natural disaster through early recovery and reconstruction phases. It is targeted at humanitarians and land professionals, as well as government officials. The Guidelines take an inter-disciplinary approach to land that brings together humanitarian emergency relief and early recovery perspectives. The Guidelines include illustrations with practical aspects of bringing land issues into the post-disaster recovery process. A demonstration on the use of GPS equipment. Access to secure land tenure is crucial for alleviating poverty and inequality in rural and urban areas, promoting sustainable cities and human settlements, ecosystems and biodiversity, peaceful and inclusive societies. Access to ownership and ownership of legitimate tenure rights is important to the realization of a range of human rights, including rights to adequate housing and food, women land rights and the territorial rights of indigenous peoples. Effective global monitoring is central to ensuring that changes in land governance result in improved conditions and sustainable development opportunities for all, especially for vulnerable groups and those living in poverty, hunger and malnutrition. Better knowledge and understanding of the extent to which people benefit from secure land and property rights and the effectiveness of land-related policies and land administration systems in helping to deliver tenure security for all and achieve sustainable use of land resources are now needed. The global 2030 Agenda for Sustainable Development recognizes land as a factor of production and asset, with explicit indicators included for monitoring progress on land governance issues. Agreed upon land indicators in the SDGs enables countries and relevant agencies to monitor and report progress in increasing the proportion of total women and men with secure or perceived tenure rights to land, including agriculture and urban tenure rights. These land indicators promote the Continuum of Land Rights Approach to tenure security. Monitoring of land indicators in SDGs is expected to contribute to progressive monitoring of the implementation of various important guidelines and frameworks, including the Voluntary Guidelines on Good Governance of Land, Fisheries and Forestry in the Context of National Food Security, the Africa Union Land Policy Initiative and Agenda 2063; and the New Urban Agenda. Reporting on global land indicators is expected to strengthen country-level data generation systems, enable global monitoring and coordination of efforts. The key contribution of the Global Land Tool Network to the global land monitoring agenda has been the establishment and facilitation of the Global Land Indicators Initiative (GLII) that has been playing and continues to play an important role in sharing information, developing knowledge and constituting a forum for exchange of experiences and innovation. The need to step up monitoring of land governance issues drove the establishment of the Global Land Indicators Initiative (GLII) in 2012 by Millennium Challenge Corporation, the World Bank and UN-Habitat. The platform is hosted and facilitated by Land and Global Land Tool Network Unit in UN-Habitat. GLII is a collaborative and inclusive process for developing Global Land Indicators. 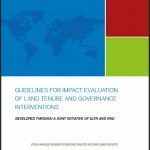 GLII partners aims at making global scale monitoring of land governance a reality by 2021. GLII has now grown to include over 50 institutions around the world ranging from UN Agencies, Inter-governmental Organizations, International Nongovernmental organizations, Academia, Private Sector, Researchers and Training Institutions, and Farmer Organizations. Regional institutions like Land Policy Initiative (LPI), the UN Statistical Commission for Africa, National Statistical Offices and Regional Statistical Training Centers are strategic partners of GLII. The platform created space that facilitated global land community to engage in the post 2015 development agenda, making a major contribution to the decision that saw the inclusion of land target and indicators in the SDGs with the backing of The Global Donor Working Group on Land and other agencies. Other GLII achievements include the development of a set of 15 nationally applicable and global comparable land indicators that go beyond the provisions of land in the SDGs to cover four key areas of land governance: land tenure security for all, land and conflict, land administration services, and sustainable land use management. The platform has also facilitated the development and piloting of methodology and tools for data collection on tenure security in a number of countries, and facilitated the developed a Training Curriculum on Methodology for Data Collection and Reporting on Land Indicators fostering global learning and knowledge sharing. Members of this platform continue to explore innovative means of land data collecting, monitoring and reporting, including steering land and data community consultations for harmonized indicators and methodology for land data generation, linking country to regional and global processes. The adoption of the 2030 Sustainable Development Agenda in September 2015 increased attention of global land community on the need to strengthen the statistical and data capacity of countries to measure, monitor and report on targets and indicators on land. Global coordination and collaboration with governments, regional bodies like AU-Land Policy Initiative, the private sector, academia and agencies responsible for land indicators in the SDG 1, 5, 11 and 15 is paramount for synergy, uptake of comparable data protocols for monitoring and reporting on land indicators in the SDGs. The importance of land in urban development and the need to monitor land governance in urban areas is further underscored in the New Urban Agenda endorsed by UN Member States during the Habitat III Conference in October 2016. A 3 year GLII roadmap, including partners’ statement on GLII value addition and key areas of focus, was developed at a global expert group meeting held in January 2017, in Cape Town, South Africa. The roadmap is set to guide GLII’s work for the next 3 years in partnership with the platform members and other strategic actors including donors at country, regional and global level. Key areas of focus including convening and coordination of land and data communities to make land monitoring for the SDGs, VGGTs and other global and regional frameworks a reality through robust country level monitoring using comparable methodology and tools for data collection and capacity strengthening in land data generation, analysis and reporting including gender disaggregated data; increasing update of comprehensive GLII land indicators to collect complimentary land data; enhance advocacy, communication and influencing of relevant actors to champion land monitoring agenda; and promoting rigorous research and knowledge management on land monitoring issues at country, regional and global level. Grassroots participation has been defined as a planned process whereby local groups are clarifying and expressing their own needs and objectives and taking collective action to meet them. The grassroots should ordinarily be seen as those groups who are the intended beneficiaries of the relevant pro-poor land tools. In urban areas this would include women residents of informal settlements, low-income tenants, low-income owners in slum conditions and marginalized groups affected by urbanization such as indigenous peoples and small farmers. In rural areas, the categories would cover small farmers (tenants, freehold, informal) small and nomadic pastoralists, landless labourers, Indigenous peoples, informal settlements, refugees/IDPs. Within each of the listed categories of persons, the majority tend to be women, so ensuring that grassroots tools are gendered is crucial. 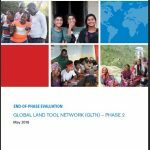 Ensuring genuine grassroots participation within the Global Land Tool Network enhances the prospects that high quality and useful land tools will be designed, disseminated and used in practice. Use of existing grassroots networks that have contact with GLTN international and regional partners. Focus groups with community representatives in selected countries. Internet forums on particular issues (e.g. digital divide problem). Participation of grassroots representatives in national, regional and international multi-stakeholder GLTN workshops for tool development. Pilot projects for testing of tools. GLTN works on improving security of tenure in the Muslim world through developing partnerships, research, training and learning events, as well as developing pro-poor and gendered land tools tailored specifically for the Muslim contexts, based on specificities of the provision for land and properties that exist in the Islamic law. This is what GLTN calls ‘the Islamic Land Mechanisms‘. Although most land, property and housing issues faced by Muslim societies are not dissimilar to those encountered elsewhere, strategies and tools need to be adapted to a specific context as they often have a greater impact on intended beneficiaries than generic global strategies. Considering that approximately one fourth of the global population is Muslim (including significant minorities in the West and elsewhere) and influenced to varying degrees by Islamic land principles, either through official systems or informal / customary practices, this stream of work is one of the priorities of the Network and GLTN dedicates particular attention to Islamic land mechanisms as a way to achieve housing, land and property rights in the Muslim world. Currently, GLTN partners are engaged in developing a set of Guidelines to Increase Access to Land for Women in the Muslim World, based on the analysis of global gender-responsive land approaches, series of consultations with partners and experts, case studies review and on the GLTN research on Islamic land principles offering opportunities for enhancing women land and property rights. The GLTN Partners leading on this area of work are: University of East London, UNHABITAT , Arab Union of Surveyors, Urban Training and Studies Institute, and International Islamic University of Malaysia.